difficulty of having access to specialty care. In California, approximately one in six children is diagnosed with a special health care need, which can range from conditions such as asthma, diabetes, and birth defects, as well as developmental disabilities such as autism and cerebral palsy, and mental illness. Children with special health care needs (CSHCN) require healthcare and other services that are either more specialized in nature or must be accessed on a more frequent basis than generally required by children. This pronounced lack of access puts CSHCN at increased risk for chronic physical, developmental, behavioral or emotional conditions. Telehealth, the use of technology to provide and coordinate healthcare at a distance, can vastly improve access and care coordination for vulnerable populations, like CSHCN. Telehealth provides communities with the option to bring care to children when available providers in a given area are in short supply or difficult to access. Telehealth can also be used to help coordinate care for kids who have multiple needs for health care and support services, as is often the case for CSHCN. Families with CSHCN who utilize telehealth services are able to access the care that they may otherwise go without, while also reducing both the need to travel far distances to see healthcare providers, and the need for school and work absences in order to make these appointments. Earlier this month, California lawmaker Sharon Quirk-Silva (D- Orange County) joined The Children’s Partnership and the Providence Speech and Hearing Center (PSHC) at an August 16th roundtable to discuss the promise of telehealth as a means of increasing access to vital services for families. The event featured a live tele-speech therapy demonstration by a speech pathologist who provides services to patients from her remote site in Mission Viejo, 20 miles from PSHC. After the demonstration, the panel – which included Assemblymember Quirk-Silva, Linda Smith, PSHC CEO, Isabel Becerra, CEO of the Coalition of Orange County Community Health Centers, and Mayra Alvarez, President of The Children’s Partnership – discussed the critical role that telehealth plays in providing services and care to children and families with access challenges and/or special needs across California. 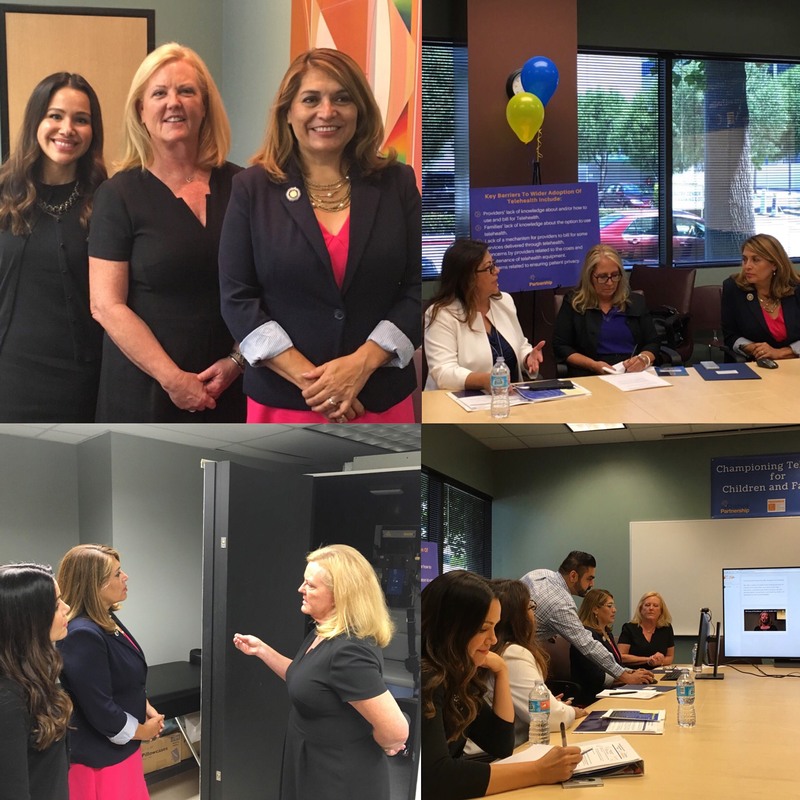 Assemblymember Quirk-Silva mentioned that she and other state lawmakers are working to increase the resources made available to providers. However, such a task has become even more challenging as a result of attempts at the federal level to dismantle the ACA and Medicaid. The Children’s Partnership remains committed to working with California policymakers, providers, payers, child health advocates, and families to advance telehealth and other promising solutions that will break down access barriers, improve care coordination and move us closer to achieving health equity in California. NOTE: The event was broadcast via Facebook live, and can be viewed online at https://www.facebook.com/kidspartnership/.